When faced with life changing challenges, how we react determines the outcome. It is a simple enough statement, but are we conscious of this when we choose our path? Life is a fluid and ever changing journey, we must be flexible and open to the direction it points us. It isn’t necessarily easy, but it isn’t necessarily hard either; it depends on our mindset. We tend as humans to have a fixed mindset, belief system or view of the world. We learn this as we develop and grow as individuals. It’s how our mind works, information is categorised and departmentalised. As children, we are imaginative and free thinkers. We do not accept established constructs because we are unaware of them. What we do know and unlearn the rest of our lives is that everything and anything is possible and we have the ability to create any result. “Actively” because we both have been searching for meaning for the better part of our lives. Faced with some uncertainties, we stepped out into the world to discover what being spiritual really meant to us. 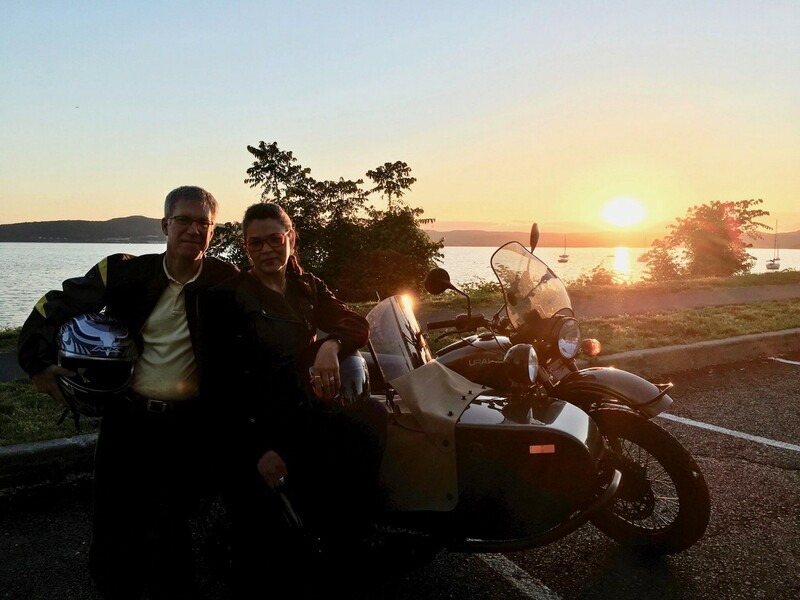 Like many couples in similar circumstances, our children out of the house and pursuing their own careers and life experiences, we were facing the prospect of being just the two of us again after 25 years. We were unsure if we were ready for that. Were we still the same people that fell in love all those years ago? Like so many parents that focused so much on their children, did we still know who each other were? We were comfortable; set in our way of life, our routine. Stella learned of “The Way, The Camino de Santiago”. It called to her and she decided that she was going to walk it and wanted Jay to come too. He was hesitant to commit, it would be a 30–40 day journey, he wanted to join her but how could he? There was the house, two kids in college and one heading into her junior year of High School. As we were entering our 50s, our lives were changing. After years of working and providing for the family, Jay was facing unemployment at 50 years old. His job was eliminated at the company that allowed us so much stability and prosperity while our kids were growing up. Stella was facing going back to work after years of focusing on the children, having put her career aspirations on hold to be a dedicated mother. How does one face these challenges? What is interesting; is how things work out if you are open to them. Blessings come in unexpected disguises. Just six months earlier, Jay had expressed a desire in changing jobs, or at least hours. Jay had been working a 4AM to 1PM shift for 13 years. Stella wanted a change of environment and a chance to live somewhere else. Our youngest daughter put a collage on the back of our bedroom door of places she wanted to visit. She was also studying Mandarin in school. A week after we were notified that Jay’s department was being eliminated, he was offered a position in Beijing, China. It appeared the opportunity for us to walk the Camino together was now more unlikely than ever. As Jay began the paperwork process, it became apparent that the process would take a long time. Weeks turned into months and as the delays progressed Jay spent more time considering the walk. We started training, walking daily and finding the equipment that we needed. We pared down our needs and focused on the task of walking distances far beyond any previous experience. As the Chinese paperwork process stalled, we saw this as an opportunity and Jay committed to the walk. We made arrangements to start the Camino the beginning of April. Three weeks into the walk, Jay was notified that the paperwork was completed and approved. Now we were faced with what to do with the house and making arrangements to move overseas when we returned from our walk. Had we waited or lacked faith, we would have lost the opportunity of walking across Spain together. The walk was just the start of the journey. It prepared us for the challenges we faced when living abroad in such a foreign culture. We learned to rely on each other for support and encouragement, to push each other, emotionally and physically. We developed a bond greater than we had ever known in this shared experience. Had we not taken the opportunity to walk the Camino, this experience may have been too formidable for us to manage. We faced highs and lows, some of which we are still coming to terms with. Returning was similarly daunting; we were now back home but apparently facing the same challenges as a year and a half earlier. We were now both unemployed, supporting a four bedroom house for the two of us and another kid heading to college. We decided to sell our house, the house that we built and raised our children. We needed to determine what the next phase of our future was. In continuing our search of spiritual enlightenment, we decided to walk the Camino once again and introduce it to our children. It was during this second walk we decided that we didn’t want to settle for an ordinary life. We would live a more purposeful existence. We had discovered a deeper sense of purpose through our recent experiences and wanted to continue on that path. We decided to apply our travel experience to this adventure. This wasn’t just a trip across the country; we wanted to experience it, feel it, taste it and talk to the people of it. We decided the only way to truly do this would be to travel by a smile machine, a motorcycle/sidecar we call DOLLY! Traveling this way enables us to be in nature as we were on our Caminos. Dolly is also a means of engagement, she invites conversation. It is this connection that we are seeking, breaking down the barriers we as adults have created. We carry only what we need along the way and camp, accept invitations or stay in hotels as the situation dictates. Our mission is to discover hope and inspiration and highlight people that are making a difference in their community. It is our goal to cover at least 1 organisation, person or program from each state. We interview the people that have created these programs, charities or non-profits for the benefit of others and post it on our website and on YouTube. We started in the Spring of 2017 and traveled from New York to Cape Cod, MA, then to Maine, New Hampshire and Vermont before returning to New York. We have met amazing people doing amazing things. In Cape Cod, we were introduced to an amazing woman who against all odds became a very successful businesswoman just because of the promise she made to take care of her severely challenged daughter. She created Flower Angels, a non-profit organisation that recycles and delivers flower arrangements to nursing homes in honour of her mother. In Maine, we met Jane and Margaret that after a two-year battle to keep their local hospital from closing, created the Boothbay Community Center to engage and empower the members of their community. In New Hampshire, a mother of an eight year old autistic son, asked herself what would become of him when he was no longer a child? She bought a small farm and created Homesteads of New England for him and 20 others to live and work in a safe environment and contribute to their own sustainability. We have just begun to discover these stories of inspiration, so much still lies ahead. We are currently catching up on production so we can continue our journey having completed the Northeast. On March 25th we will be heading out to continue our quest and our conversations. Join the OnRWay community for discussions and up to date information of Jay and Stella’s inspiring journey. Seequers… bringing people, information, and personal experiences together across a global health, wellness and self care community. Building a smarter community and a collaborative ecosystem. Visit Seequers to find out more and sign up.